The 'blockchain' allows for a scalable and secure ledger with unlimited account creation and programmable, trackable money. Ideally, a C-suite is filled with proactive professionals driving the organization and industry forward, but outdated accounting measures often leave CFOs behind the curve. Think about it: When was the last time you reviewed cash flow in real time across the entire enterprise? Accounting departments are one of the last sectors of corporate America to go paperless. Many still track and enter data manually, and the only time a full financial report is seen is quarterly or at the CEO’s request. Unfortunately, a clear view of global cash flow and operations is nearly impossible when coordinating and compiling thousands of hard-copy reports. Enter bitcoin. Bitcoin is beginning to disrupt the old establishment not only as a currency, but also as a means of securely tracking and verifying transactions. The technological engine behind bitcoin is called the “blockchain.” This public ledger uses a decentralized, mathematically encrypted network of computer nodes to verify and record transactions. Through this medium, a distributed ledger is updated in real time, allowing for an immutable forensic audit trail of all transactions — potentially a CFO’s dream. Blockchain technology isn’t limited to the bitcoin currency, however. Goldman Sachs and Citibank are among the major financial institutions that are creating teams and outsourcing innovation to develop, and eventually incorporate, blockchain technology. These companies are already writing whitepapers and testing use cases with the hope that eventually blockchain technology can streamline their systems and reduce operating costs. The technology allows for a scalable and secure ledger with unlimited account creation and programmable, trackable money. Thus, CFOs would have access to a record of each cent that moves through their systems in real time. They would be able to set spending limits and automated reports with the touch of a button. They would see exactly when payments are made and be able to monitor how quickly they proceed down the supply chain. Payment cycle data could be tracked automatically, paving the way for important predictive analysis aimed at tightening accounting processes, improving policymaking, and improving treasury management. CFOs who choose to implement blockchain technology would also have the benefit of a secure, decentralized ledger that is immune to tampering and hacking. Employee theft and fraud would be minimized because no single individual can alter the ledger without cryptographic security permissions because it exists across a distributed network. Greater transparency and a decentralized consensus ledger mean discrepancies can be identified immediately; the source of fraud can be traced down to the individual cent. Although these applications are already beginning proofs of concept, implementing blockchain technology across financial and banking sectors might take significant time. Designing new systems built on blockchain technology and integrating them into traditional financial systems won’t happen overnight. In fact, in 2011, when BBVA Compass decided to update its core processor it took three years and more than $360 million to complete the project. But when the first blockchain integrated banks do arrive, those who aren’t prepared will be left behind. Santander InnoVentures recently reported an example of these savings, stating that implementing blockchain technology could save the banking industry more than $20 billion a year on infrastructure costs alone. The technology’s scalability eliminates discrepancies and reduces the personnel needed to complete banking operations. In the future, these systems could be integrated with accounting software, providing CFOs (and anyone else given permission) access to streamlined information culled from the same familiar systems already in use. But don’t be confused: Blockchain technology is nothing like current systems. A simple Google search for “blockchain explorer” leads to a real-time, global public ledger that tracks every bitcoin transaction occurring worldwide. A transparent, secure, and completely digital ledger with a forensic audit trail can resolve many headaches for the CFO, but adopting this technology is not without its obstacles. While there is seemly endless potential for this technology to improve on existing systems, there has yet to be a successful and impactful application of blockchain technology for an everyday business situation, despite the hundreds of millions of dollars invested into the space. Almost all innovation has been focused on closed projects or private blockchains. If the direction of these proofs does not change, we will be left with a collection of independent digital databases that will offer no benefit over the current system; they’ll be different only in name. Despite the tremendous potential that may exist in blockchain technology, none of it has been realized in real-world solutions, and until businesses and financial institutions are willing to adopt standards and join a true distributed network, it won’t be. Although it might not be feasible for a company to develop its own blockchain application internally, CFOs should add the phrase “blockchain technology” to their list of Internet searches, and follow blockchain proponents on Twitter to keep an eye out for new solutions. Understanding blockchain technology could ultimately, one day, save an organization time, money, and headaches. 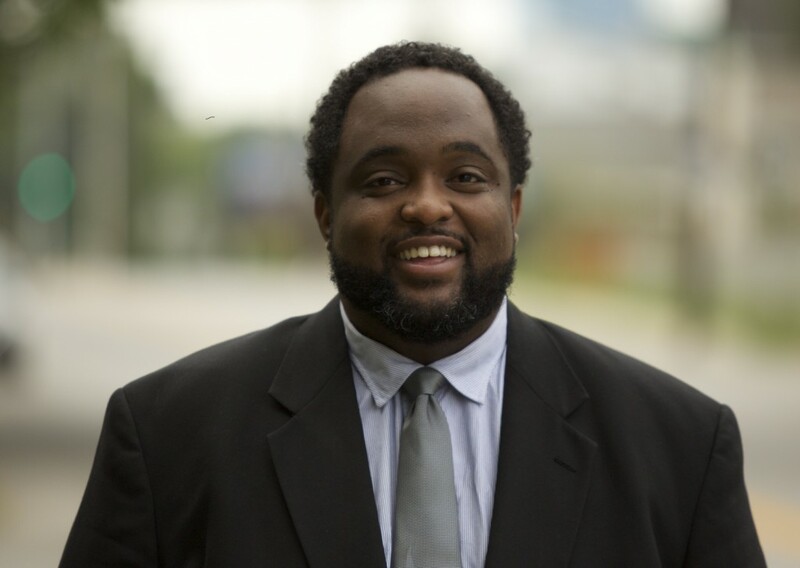 Lamar Wilson is the CEO and co-founder of Fluent, the financial operating network built on blockchain technology for companies and their global supply chains. Private blockchains can include any parameters you want. 5 second confirms or 0 confirmation transactions are all very possible when all parties are known.